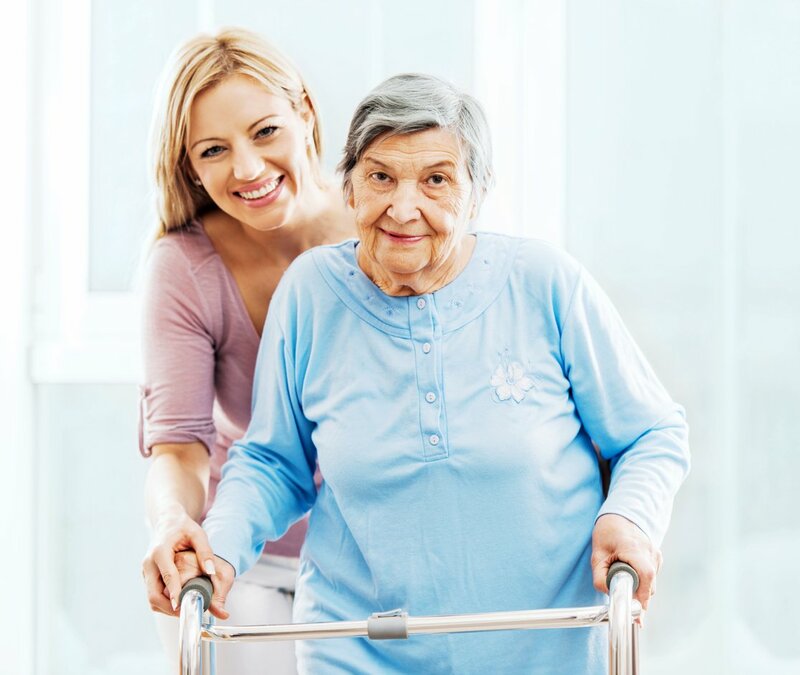 Looking for the Best Home Care Adaptive Equipment? Hired Hands Homecare Can Help. Throughout aging, assistive home care tools can make daily life around the home simpler and safer. There are a plethora of adaptive equipment options for home care on the market today that can make seniors’ lives less hazardous and more comfortable. At Hired Hands Homecare, we wish to supply you with some insider tips for buying and using some of the most widely used pieces of home care equipment. A commode can be used in place of both an elevated toilet seat and a toilet safety framework and also has the added benefit of being mobile, so can be utilized separately at a bedside as well. Look for one that has non-removable armrests and rubber tips on the legs in place of wheels, and check for sturdiness. Look for a commode that includes both a pail (with lid) and a sleeve (for use over the toilet). A rollator is a four-wheeled walker that includes brakes, a seat, and a basket. Rollators work well both inside and outdoors, provide seating when the older adult needs to rest, and the basket permits users to carry objects with them, keeping their hands free to navigate the rollator. Bigger wheels are preferred, as they roll easier on uneven ground and are generally more sturdy. Look for a light-weight, foldaway model so that it can fit in the trunk of a car. Test out the brakes prior to purchase to make sure that they are not stiff or complicated to utilize. Search for a rollator with a cushioned seat for comfort. Versions that permit easy accessibility to the basket while in the normal walking position are preferred. A shower bench is useful for seniors who feel unsafe when lifting their legs over the side of the tub and significantly lowers the risk of falling when getting in and out of the bathtub. The primary benefits of shower benches over shower boards are that they have backrests and are height adaptable. Having a taller surface makes getting up from a seated position easier and backrests provide more support to seniors who fatigue more easily. Shower boards can also be hard to fit correctly to a tub. Search for a shower bench that has a handle and backrest that can be adjusted to accommodate different tubs. Make sure to also invest in a quality hand held sprayer that hooks up to the faucet and is convenient to use. For more tips and insight on in-home adaptive equipment products, or for in-home California senior care to help your loved one enjoy a higher quality of life, feel free to contact Hired Hands Homecare online or call us at (866) 940-4343.